DJ Xris SMack! Gothic Birthday! SPINNING THE BEST NEW AND CLASSIC GOTH, EBM, DEATH ROCK, INDUSTRIAL & WAVE ALL NIGHT LONG! 23 West 39th st. Bet 5th & 6th Ave. NYC. Check out the Stimulate event page to stay updated on all Xris SMack's events! 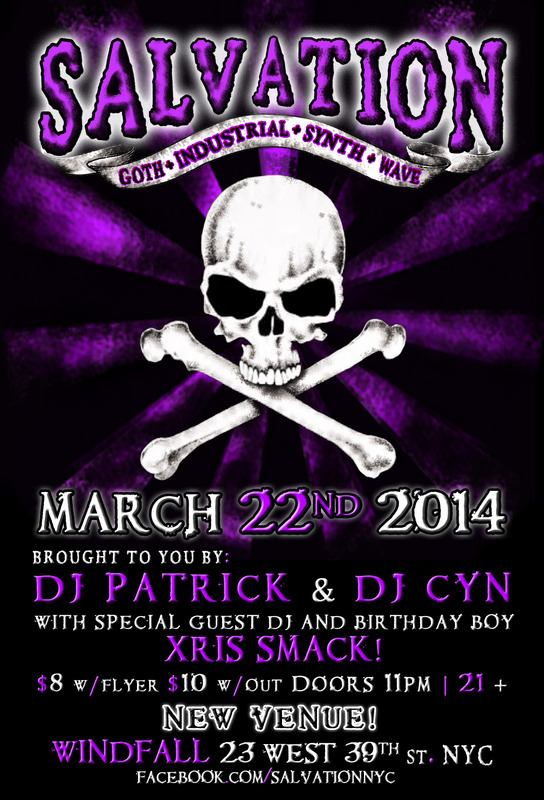 :Darkwave, DJ Cyn, DJ Patrick, EBM, Goth, Gothic, Industrial, Synth, Xris SMack!